Those little motorized stools that everyone in the video is riding around on are Honda UNI-CUBs, which use the same gyroscopic self-balancing technology as Honda’s Asimo robot (although unlike Asimo, these unicycles won’t ruin this nation of ours by forcing the president into pitiful subjugation). 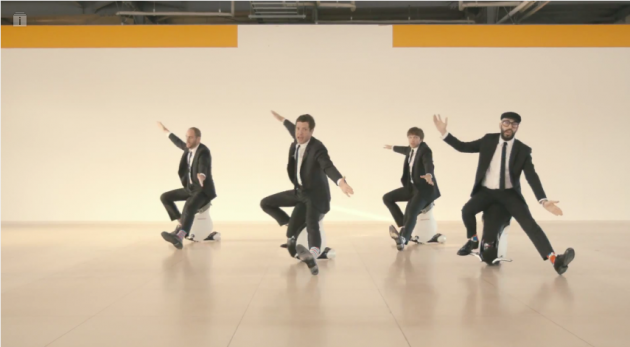 The electric unicycles also utilize “omni-directional drive wheel system,” and are steered by the driver shifting his or her body weight (which, of course, made them perfect for OK Go’s choreographed dance moves). Billboard reports that the video was directed by filmmaker Morihiro Harano, who shot the entire thing in one continuous take (after about 50 or 60 attempts at getting it just right). 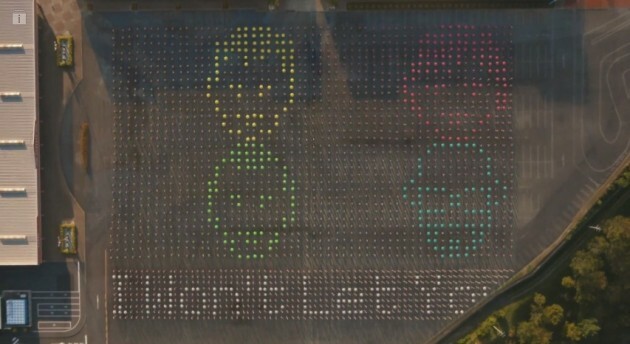 The aerial shots of thousands of extras using umbrellas to create pixilated art were accomplished with a camera attached to a drone, which also captured that cool ending shot of the city of Tokyo (the video was filmed in a warehouse in Chiba, approximately 45 minutes outside of the Japanese capital). The UNI-CUBs were provided by Honda, who also paid for the video. Even if you’re not the biggest fan of the band’s music, you owe it to yourself to watch this remarkable video (and if you really can’t stand the earworm tune, at least watch it on mute).